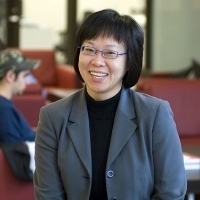 Margaret Yap’s research interests include public policy and labour relations, human resource management in the global economy, and gender and race in employment. Prior to joining Ryerson, she was a research director at Catalyst Canada, a not-for-profit research and advisory organization. During her tenure at Catalyst, she directed the research project that produced “The Bottom Line: Connecting Corporate Performance and Gender Diversity”. She also has extensive industry experience with Nortel Networks in various human resources management roles, including a three-year assignment in Asia Pacific. Most recently, she worked on a research study that looked at career advancement of visible minorities in Canadian corporations.